Welcome to our collection of Vegetarian Recipes! This collection includes our favorite Chinese vegetarian recipes but also some of our most favorite western style vegetarian dishes. Check this list whenever you plan meatless meals or if you want to just eat healthy! 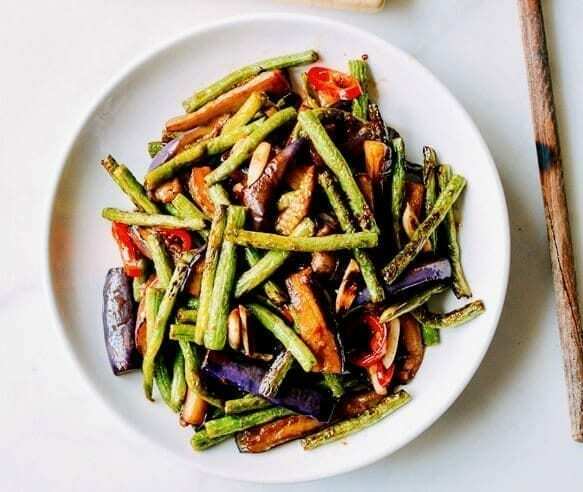 This Eggplant String Bean Stir-Fry is one of our must-order dishes when we go out. We discovered that it was a common restaurant dish in China and now also in the US and now we know why. It is delicious, easy-to-make and quite healthy. We not only eat this at restaurants when we go out but, have been making this dish regularly at home. You need to try this one! 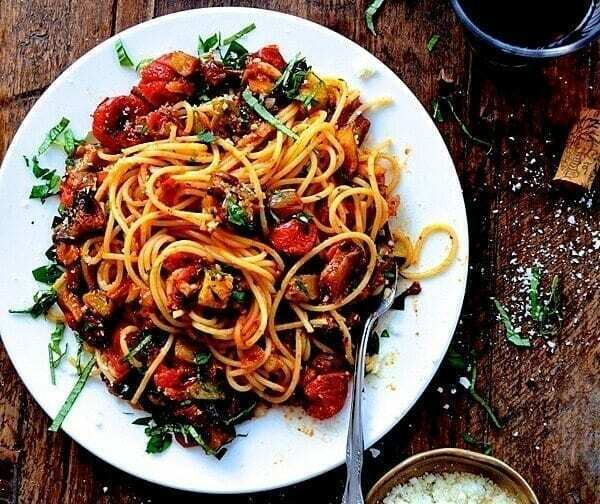 This Roasted Ratatouille Pasta recipe was an experiment that turned out a brilliant dish that we have made over and over again. Each time we make this recipe, we marvel at how delicious it is and then on how healthy it is and that we need to tell more people about it! We doubt you will have any leftovers but if you do, use it to make a the Ratatouille Grilled Cheese or the Ratatouille Brunch Bake if you want to blow the socks off your significant other on a Sunday morning! Here’s our list of vegetarian recipes! You can also check out our Chinese Vegetarian Recipes visual index to see thumbnail pictures of these dishes!